Japan’s Advanced Accelerator Association Promoting Science and Technology (AAA) will release their first set of LINE stickers “Kawaii Particle Physics” at LINE Creators Market. The set features three particle characters; Higgs-kun, Ms. Dark matter, and of course, the ILC. LINE, a communication app for smartphones, is available worldwide, and especially popular among the young generation in Japan. Users can download and buy emojis and stickers to personalise their chats. Kawaii is a very Japanese concept: the word itself means “cute”, and anything can be “cutified” in it – including particle colliders. To reach out to those young LINE users, AAA created a set of 40 stickers which is almost ready for its release. 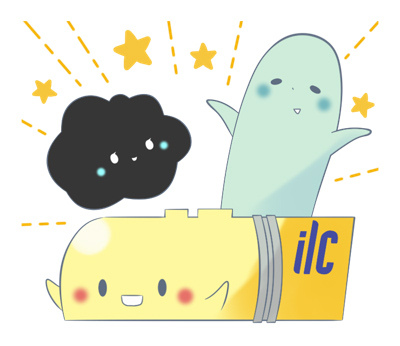 One of the sticker design for “Kawaii Particle Physics” LINE stickers. AAA will give you FREE stickers if you sign up for LINE@ account “ILCを日本に！(Invite the ILC to Japan! )” by 6 May. 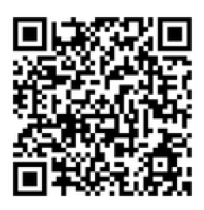 Sign up now by scanning the QR code. You will be informed how to get your free gift after the release. QR code to sign up for your free gift. AAA is planning to release additional sets to cover all 17 Standard Model particles, as well as new particles!